Over the years, several video games in the Command & Conquer franchise began development, but were eventually cancelled. Command & Conquer: Renegade 2 and Command & Conquer: Continuum were both in development by Westwood Studios before being cancelled due to Electronic Arts’ purchase of Westwood Studios in 2003. Incursion, the sequel to Tiberian Sun, was also in the early stages of development, but was put on hold until some of its concepts were reused in Tiberium Wars. 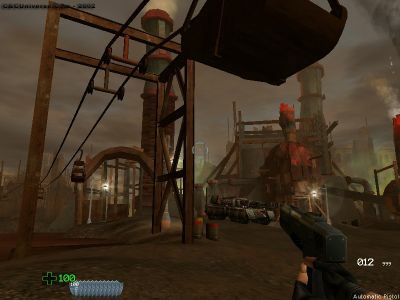 Tiberium was being developed by EA Los Angeles before it was cancelled due to quality concerns. So here’s a look at what could have been and never will be. Command & Conquer: Renegade 2 was to be another first-person shooter game using an updated version of the “Westwood 3D” (W3D) engine, used in the original Renegade. Renegade 2 had two build versions: the first one was drafted as a connection to Command & Conquer from Red Alert 2. However, this was scrapped in favour of a Red Alert 2-based FPS that took place in the post-Yuri’s Revenge world. The storyline was about a rogue Soviet commander, who belonged to the Romanov family, attacking America to avenge the honour of Premier Alexander Romanov. Most units designed were based on Red Alert 2 styles, however the Allied Light Tank and Soviet Hind Gunship were included, units which only appeared in Red Alert. It is believed that the game was cancelled after Electronic Arts was left unimpressed by the sales of the original Renegade, and because they feared it would take away sales from DICE’s then-upcoming Battlefield 1942. Command & Conquer: Continuum was to be Westwood’s second MMO, after Sole Survivor, set in the Tiberium Universe. It was also developed on the “Westwood 3D” (W3D) engine. It was cancelled due to the termination of Westwood Studios in 2003. It was to feature a moving and evolving Tiberian world, where the players could play a great role in the entire story. 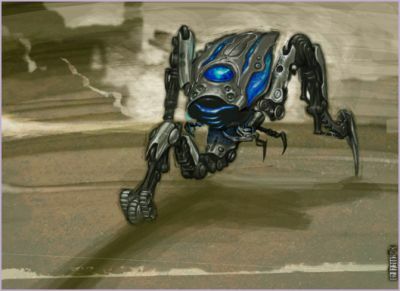 The GDI, Nod, Mutants and CABAL were to be major factions, with the Scrin to be added later. Prominent locations included a half submerged Los Angeles, Area 51, Dino island, Newark airport, a mutant city, and other locations. Adam ‘Ishmael’ Isgreen and Rade Stojsavljević stated that it was to be a non-stand-and-swing MMORPG, featuring instanced “crisis zones” in it, hubbed flight routes, and scripted boss battles. These have appeared in other MMORPGs since. Rather than static combat found in many MMORPGs, fluid and movement-oriented combat was to be implemented with range being an important factor for weapons use, and multiple layers of counters for the weapon types. Creatures were to be similar to bosses in console games in that you could expose weaknesses on them and then hit those for extra damage. Incursion was the working title for Westwood’s third Tiberium universe game (once mistakenly referred to as Tiberian Twilight by the staff), which was going to feature the arrival of the Scrin, as well as CABAL as a playable faction in one of the expansion packs. 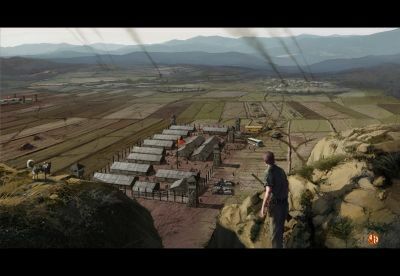 One of the story drafts featured the creation of the Red Alert universe by use of time travel, similarly to how Einstein creates the Tiberium Universe in Red Alert’s prologue, featuring Yuri appearing as Kane’s disciple. Some elements of the cancelled Command & Conquer 3: Incursion game were later included in EA Los Angeles’ Tiberium Wars in 2007. Tiberium (stylized as TIBERIUM) is a cancelled tactical first-person shooter video game title set in the Command & Conquer universe, that was in development by EA Los Angeles. Tiberium was initially revealed when shots of the January 2008 issue of Game Informer were leaked, but was officially announced by EA just a day later. 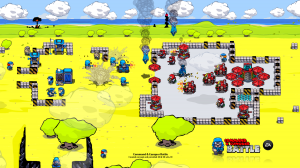 Prior to the announcement, the game had been in production for two years. In the first previews of the game by GameSpot and IGN, it was confirmed Tiberium used a game engine based on Unreal Engine 3. On January 18, 2008, a trailer of Tiberium was released on GameTrailers with a message of more to come on January 25. It would have been, to date, the only C&C game not to include “Command & Conquer” in it’s title. 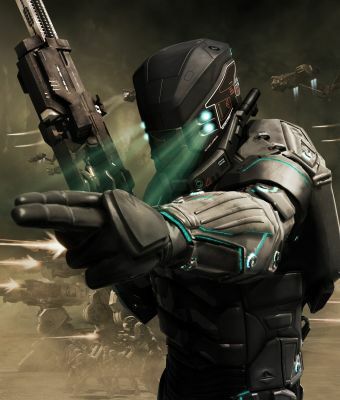 The player character was Ricardo Vega, the protagonist of the Tiberium Wars novel, and was to lead squads of other soldiers. He only had one weapon, which was to change to different modes and ammo types as needed. Project Camacho was planned as a a real-time strategy/first-person shooter hybrid set in the Command & Conquer Generals universe. Project Camacho has been described as game that was something similar to Gearbox Software’s Borderlands. Due to financial reasons, then-EALA general manager Mike Verdu had to choose between either continuing Project Camacho or the Steven Spielberg/EA joint venture called LMNO. Project Camacho got cancelled and most of its team moved onto LMNO. 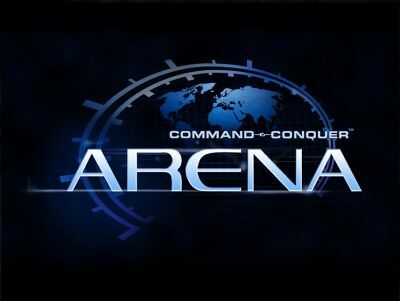 Command & Conquer: Arena was a cancelled C&C game which was not announced publicly during its development stage, but a trailer was released afterwards (in June 2010), showing several C&C units from the Third Tiberium War. It featured “C&C Points” that were used to purchase upgrades for units. The game itself was set in the Tiberium universe, after Kane had ascended. However, the Scrin then launched another invasion of Earth, and enslaved the planet. The game featured the tagline: “The war is over, but the battle continues.” The gameplay was to be derived from Tiberium Wars and Kane’s Wrath in a multiplayer-oriented fashion, and was designed with the Asian market in mind. It was possibly in development somewhere in 2008 (hence the beta keys in Red Alert 3: Premier Edition). It is believed that this experiment was noticed by EA, who then forced EA Los Angeles to convert it to a full game title. This led to certain staff members abandoning the company in protest. Command & Conquer (originally announced as Command & Conquer: Generals 2) is a cancelled real-time strategy video game in the Command & Conquer series, and was being developed by the now-defunct Victory Games for Microsoft Windows. The game was set to use the Frostbite 3 engine and would have introduced downloadable content to the series. It was supposed to be the first game in the series to be developed by Victory Games, making them the series’ third main developer after Westwood Studios and EA Los Angeles. Command & Conquer would have been available exclusively on Electronic Arts’ Origin distribution service. 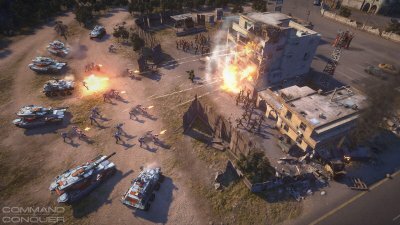 The game was originally announced as Command & Conquer: Generals 2 in December 2011, as a direct sequel to 2003’s Command & Conquer: Generals. 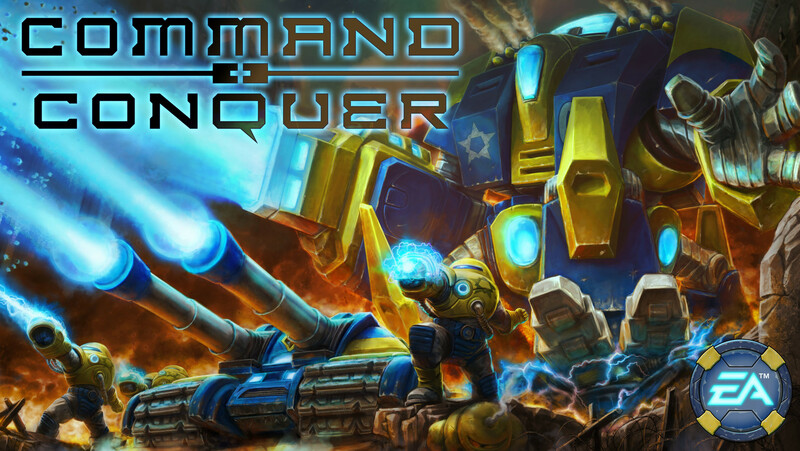 It was re-purposed as what would have been the first in a series of free-to-play games which would have been distributed within the live service known simply as Command & Conquer. The skirmish/multiplayer platform was slated for release for free around Christmas 2013, with pay per play campaign missions releasing by Q1 2014. This was later delayed, and the game was then to release in February 2014. On October 29, 2013, EA closed Victory Games, ceasing development of Command & Conquer. Little is known about Command & Conquer Battle other than it would have been playable via a tablet. It was set in the universe of the original Command & Conquer, and featured multiplayer and co-op. Player would have begun a game with 4 free in-app purchases. It had very cartoony graphics recycled from EA’s 2010 Facebook game AWOL. 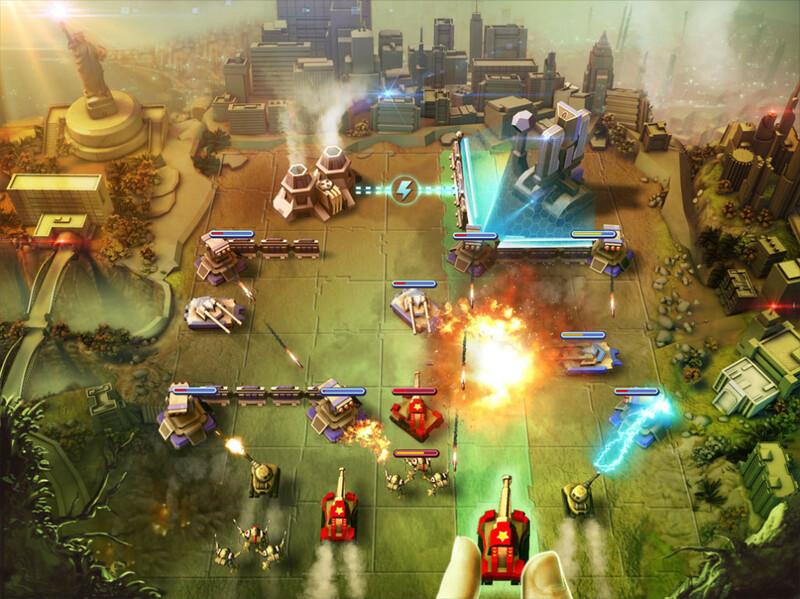 Command & Conquer: Red Alert Alliances is a cancelled free-to-play browser/mobile game developed by EA Phenomic. It was set in the Red Alert Universe, primarily focusing on unit and structure designs from the War of the Three Powers. Only the Allies, Soviets and the Empire of the Rising Sun are visible in the provided screenshots. It was to have similar gameplay to Command & Conquer: Tiberium Alliances. 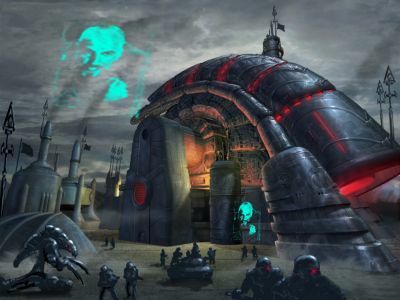 Command & Conquer Mobile is a game on which almost no information exists, apart from concept art by ex-Mythic artists Michael Phillippi and Eric Polak. 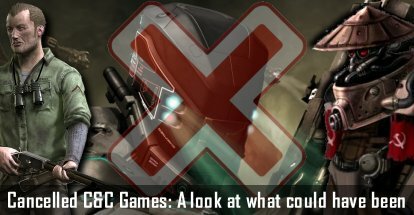 Given the nature of NDAs and in-development games, as well as Mythic’s closure date of late May 2014, it can be safely assumed the game had already been long cancelled by the time they uploaded these concepts to ArtStation.